Yes, we have new Franchi and Berretta 12’s and 20’s for rent at $50/day/gun. We also rent fly and casting rods for $25/day/rod. Lures and flies are $15 unlimited use/day. You give us your gun info, our reps in Buenos Aires will be waiting for you with your completed paperwork in the police office at the international airport. You will present the police the gun, the paperwork, and pay $110/gun for your permit. Prior to departure to Argentina, you should also obtain Form 4457 from the US Customs office. For more information, see Argentina gun entry procedures. Rates vary depending on the species hunted and your length of stay and range from $2350-$3860. The longer you stay the better value you receive. Contact us for a specific rate or group pricing. Do you have Group Discounts? Yes. Groups can save as much as $750/hunter when they book a 7 night hunting package 7 months in advance. Contact us for group rates. What is the cost and brand of shells do you provide? $13/box. Most of the time we shoot Fiocche, 2 ¾ , lead #5-7. This is a high quality, clean shooting load. Can we just hunt ducks for 4 days? Yes. You can just hunt ducks, or just dove or just perdiz. You can do just about any hunting combo you wish. How many shells can we expect to shoot? How long are the drives to the hunting grounds? Duck and perdiz hunting is within a 15 minute drive from the lodge. Dove and pigeon fields are between 10 minutes and an hour from our hunting lodge. My wife does not fish or hunt, are there things for her to do at the lodge? Yes. We offer guided and unguided activities like horseback riding, polo lessons, gaucho shows, tours of neighboring estancias, nature walks and spa services. Why should we book with Wing Shooting Argentina? Wing Shooting Argentina is unique in Argentina because we offer hunters exceptional, private land hunting for ducks, dove, pigeon, perdiz, big game and fishing for Golden Dorado –ALL OUT OF ONE LODGE. In addition, we are an American-Argentine company, outfitting since 1999. Our rates are competitive and each group’s hunting schedule is customized. Plus, there is no down time!! What is your most popular trip? Most groups come for primarily Argentina duck and dove hunting. However, they will usually included perdiz and or pigeon hunting and Dorado fishing. Can we take birds back to the States? Unfortunately, Argentina does not allow it. Customary tips in Corrientes are; guides $45 per day and bird boys $10-$15 per day with one or two hunters lodge staff $10 per room, per day. 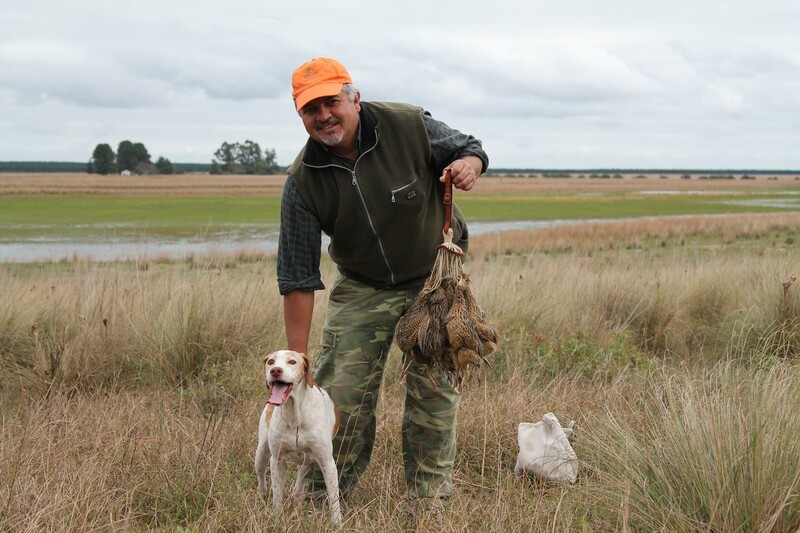 At Wing Shooting Argentina we believe tips are voluntary and depend on your satisfaction. Groups of 6-8 hunters work well. A group of 6-8 usually has more camaraderie and laughs than a group of 2-4. And with more guns firing, more birds fall, increasing the excitement and possibilities. Yes. We have done trips are large as 17 people for two weeks. Large groups need to start planning and making reservations more than a year in advance. See our Group Leaders page. Yes, as long as we have enough notice. Booking a year in advance will assure availability and lower rates. Cell reception and Wi-Fi are available. Yes, very safe, especially in the areas where you’ll be hunting or fishing. In Buenos Aires and Santiago, you will need to take the same precautions that you would in New York, Paris or Tokyo. All visitors require a current passport and travelers from Canada and Australia must pay a entry fee before they fly to Argentina. A similar fee may apply to other nationalities. This is similar to a visa and is good for 10 years. First see our pages on travel. Our office can recommend the appropriate domestic flights with respect to your dates or international flights. In many cases we will book the domestic flights for you. We can have someone greet you only if you request this service. It is an extra cost, but very helpful if you are bringing in firearms, have a tight connection or have never been to Argentina before. For transfers between the two airports in BA, their 2019-2020 rates are about $80/person/way with 2 passengers and lesser charges for large groups. Assistance with gun entry is about $150 per group. Contact us for more information. The current is 220v and the sockets are for two round European prongs. You will need converters and adapters for your appliances. Can I combine hunting with trout fishing? Yes, dove and pigeon may be combined with trout fishing between Nov 1 and April 31. The Argentine money is the peso. Personal purchases can be made with cash pesos, dollars or credit cards. Currency exchange houses and banks will exchange your dollars or euros. Some merchants offer discounts for cash. Personal or travelers checks should not be used. Also ATMs are sometimes out of cash, so we recommend carrying a back up stash of $550.